Pregnancy is a blessing in disguise. It brings a lot of attention to expectant mothers, so they might feel a little uncomfortable in the spotlight. Some mothers might feel a little self-conscious about having so much focus on them. This situation can be compounded for those mothers who experience stretch marks or other skin issues during pregnancy. There are plenty of ways to go about preventing and treating these concerns with ease and some of them are even DIY at home. Stretch marks sound rather self-explanatory. They occur when the skin stretches far too quickly, thus ruining the elasticity it offers with ease. They are most common in growing teenagers and, logically, expectant mothers. As the skin stretches over the normal elasticity it has, it can rip and tear in painful ways. This occurrence happens because the collagen in the skin becomes damaged or the process of developing more collagen slows down greatly. The latter of these two scenarios happens because the body is no longer just focusing on one being. Therefore, scars can form under the top layers of skin that can eventually rupture, which is rather painful. Some women believe stretch marks and other skin issues are hallmark signs and badges of honor. Unfortunately, these hallmarks can be rather unsightly and extremely painful from time to time. However, there are ways to relieve skin from these issues and most of these methods will not break the bank either. They can be made with simple ingredients, some of which are found around the house. It is important to feed your skin the nutrients it needs from the outside and inside to make sure lasting scars do not appear and stay for a long time. Therefore, these treatments detailed below can be used on a daily basis to make sure that hydration is applied from the outside as thoroughly as possible. One of the greatest ways to introduce hydration back into the skin is to rely on essential oils. Neroli oil is powerful when it comes to taking care of stretch marks because it stimulates blood circulation to the skin. At the same time, helichrysum oil is great at healing scars or reducing the appearance of scars. Lavender oil heals and calms skin in a similar way, so it can nourish broken and cracked skin with ease. All three of these oils should be combined together in equal amounts with shea butter and beeswax. 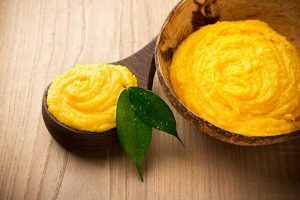 Shea butter rebuilds collagen and beeswax is a natural thickening agent that can make a protective coating over the skin. Blend these ingredients together until they are smooth. Apply to the affected area daily. Alternatively, a bandage can be placed over the application to hold a greater amount of the skin for longer, allowing for optimal absorption. Mix all of these ingredients together. 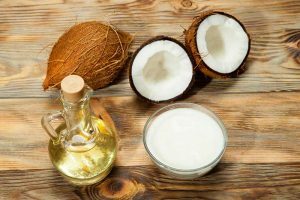 It will resemble a heavy oil until the coconut oil has time to solidify once more. It will act more like a body butter than cream. It can be massaged into the affected area with ease, and it should be done often and thoroughly. This application will be more like a cream or a lotion. It is full of healing and anti-inflammatory agents that are great for relaxing the skin and letting it heal. Mix all of these ingredients together and allow it to refrigerate. Making sure the mixture is cool before adding the essential oils to make them as potent as possible. Melt the first three ingredients together in a double boiler and then allow them to cool before adding in the other ingredients. 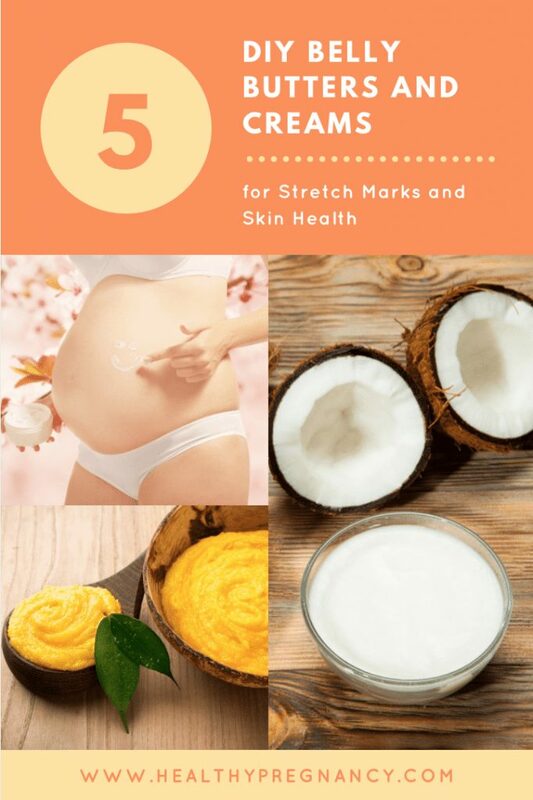 When it comes to removing stretch marks, there are plenty of things to use to make them go away. These products do not always have to be premade. They can be done DIY and last a long time.